Note to the impared: this is made up. Stung by the addition of two European races to the rival Champ Car World Series, the Indy Racing League Monday announced the addition of 11 races to its 2007 schedule -- including the first-ever race on Moonbase Alpha -- all of which IRL officials say have as much chance to happen as the CCWS additions. "We're also pleased to add Ansan, South Korea, to our race schedule for 2007," said Chester R. Simmington, director of scheduling for the IRL. "We know Champ Car had to cancel the Ansan race twice, in 2005 and 2006, but we're going to show them how it is done, no matter how much Tony has to spend." The IRL announcement came just days after Champ Car announced that it will return to Europe for the first time since 2003 with inaugural races in Holland and Belgium. Events added to the Champ Car World Series calendar will take place September 2 at the TT Circuit in Assen, Holland and September 9 at the Zolder circuit in Belgium. The Assen course was recently upgraded, but the Belgium track is reportedly "basically a mud pit with some random pieces of concrete sticking up in the air." Still, Champ Car is confident that Zolder can pull it together in time for the September race. "Oh yeah," the IRL countered in a hastily called newsconference. "Well, we have LOTS of international interest. And when it comes to run-down mud pits, we've got Belle Isle, so there." When the IRL was accused of packing the schedule with races they knew would never happen, spokespeople become defensive. "Maybe you should ask Champ Car these questions. Denver ring a bell? And I'll believe Belgium and Holland when I see it late at night on ESPN2," the spokesperson said. 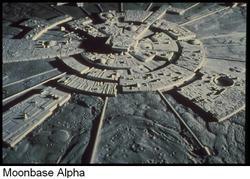 In a shocking upping of the scheduling ante, the IRL is apparently considering racing on "Moonbase Alpha" made famous by the 1975 TV series "Space: 1999." In the series, staring Martin Landeau, the moon has become a nuclear waste dump for Earth. When the nuclear waste explodes, the moon is blasted out of its orbit and onto a 48-episode journey. "All I can say is we've looked up at night and seen the moon, so we're in contact with NASA to see if we can fit a few Dallaras onto a shuttle," said Simmington. " We already race at Motegi, Japan, which might as well be on the moon for most American fans, so this seems like the next logical step." As a bonus, the greatly reduced gravity on the moon will likely neutralize the perceived weight advantage of Danica Patrick, 5" 1', 100 pounds. In other news, Danica Patrick denied her new Motorola firesuit was a sign she was being sponsored by the Carolina Panthers. Is that helmet big enough for little Danica?? My god....she must look like Gazoo when she has it on, but of course, if she races on the moon, looking like Gazoo would be a plus would it not? ?